For almost travelers traveling in Mandalay, Myanmar, visiting Buddhist pagodas is a thing that cannot miss in any travel tour. 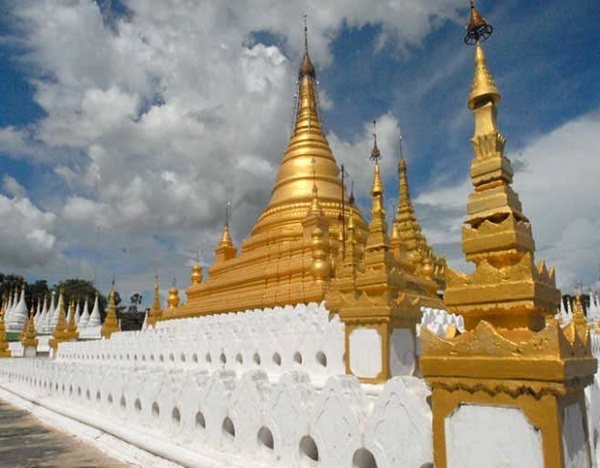 One of the most famous pagodas in Myanmar is Sandamuni Pagoda. The Sandamuni Pagoda in Mandalay is famous for the largest iron Buddha image and 1774 slabs inscribed with Buddhist teachings. Surrounding the central pagoda are 1774 shrines, each housing a single marble slab. The slabs are inscribed with the teachings of the Buddha. They consists of Sutta Pitaka, Vinaya Pitaka and Abhidhamma Pitaka, the three baskets that make up the Tripitaka, as well as commentaries and sub commentaries. 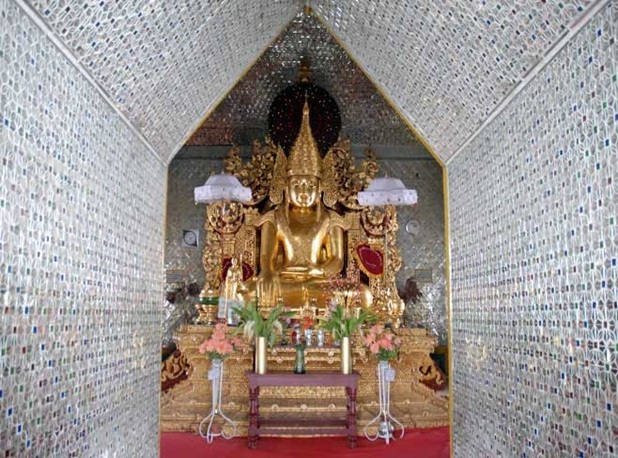 Each slab measuring 1.68 meters tall and 1.07 meters wide is enshrined in a small white shrine named Dhamma ceti. Dhamma is the teachings of the Buddha and ceti the Burmese word for chedi or stupa. The white shrines are topped with a hti, an ornamental spire shaped like an umbrella. The grounds are more cramped than the nearby Kuthodaw pagoda. The little space is left behind the rows of Dhamma cetis. 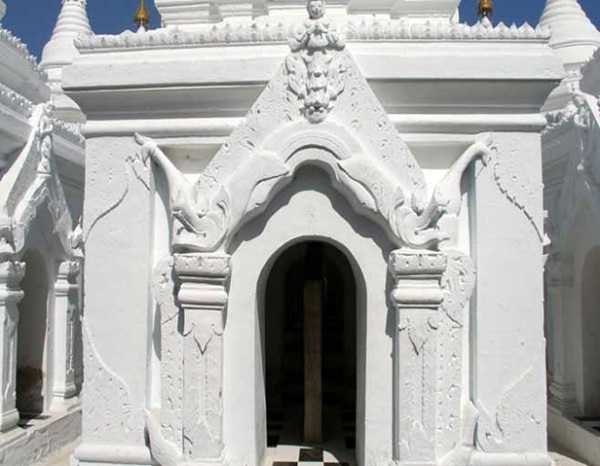 The Dhamma cetis were built several decades after the central zedi. They were erected in 1913 by U Khanti the hermit, who is known in Burma for having renovated a great number of Myanmar temples and pagodas. Being famous for the largest iron Buddha image and 1774 slabs inscribed with Buddhist teachings, Sandamuni Pagoda is always attractive with tourists when visiting Mandalay. 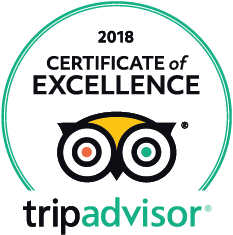 Surely, with a visit to Sandamuni Pagoda – one of the most famous pagodas in Myanmar, travelers will have chance to learn more about unique Buddhist culture of Myanmar.